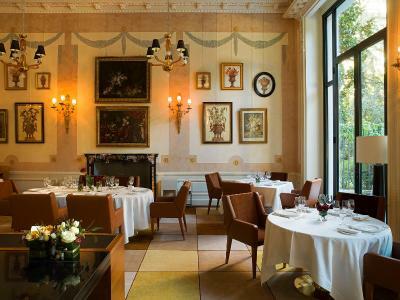 Lock in a great price for Palazzo Parigi Hotel & Grand Spa - LHW – rated 9.2 by recent guests! 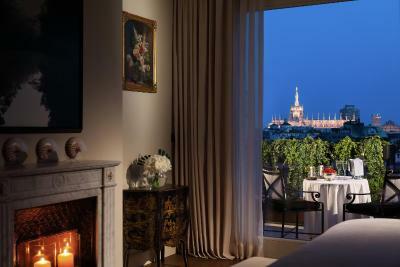 Great room with stunning view over Rome. Excellent service. Amazing SPA and swimming pool. Very relaxing hotel. 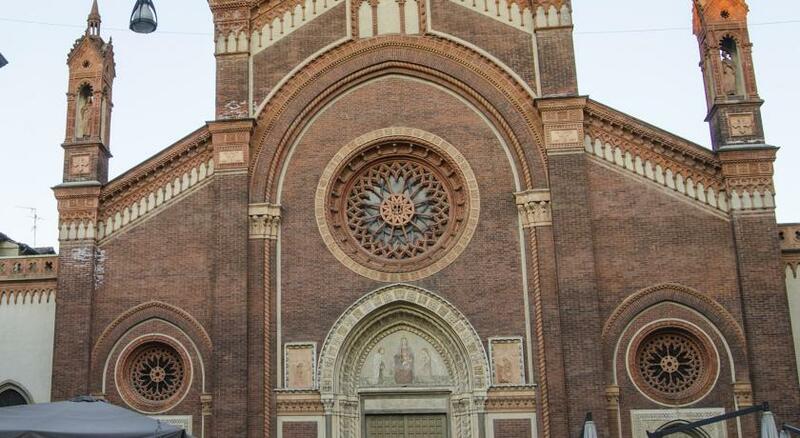 A bit away from the center, but it is ideal to visit Rome while staying in a quiet area and very relaxing atmosphere. Very romantic for honeymooners or special occasion. Staff were lovely and very welcoming. My favorite concierge ever "Bruno" he was very professional, polite and helpful. Fantastic, amiable and willing staff. Quality is everywhere. Impeccable service. 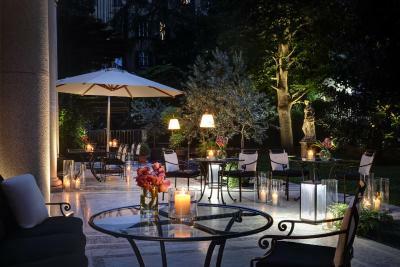 The gardens of the property and the grandeur of the space, right in the center of the heart of Milan, make this experience an amazing one. We stayed here for my sister's bridal shower in June. We have booked treatments at the Grand Spa and arranged a bridal brunch at their Winter Garden. The staff was very accomodating and made sure we had everything we needed and more! Everything was perfect, loved the room decor, the concierge was so friendly and gave amazing recommendations. Five star + hotel. lots of natural light in the rooms and windows soundproofed from street noise. Everything. Amazing location, staff and facilities. Every aspect of our stay was wonderful: the breakfasts--in quality and presentation, out of a fairytale. We also had an amazing dinner in their restaurant. The overall ambiance of Palazzo Parigi was lovely--every area beautifully, tastefully decorated. The staff was cordial, smiling, solicitous, friendly: exceptional service. We felt very comfortable during our stay. very good location. What a wonderful little escape for me. The hotel is amazing. Staff is as well, in tune to guests needs and comfort. I can't wait to get back and be held captive by that delicious bed again! Friendly, helpful staff on reception, concierge and housekeeping. The location was great for us. 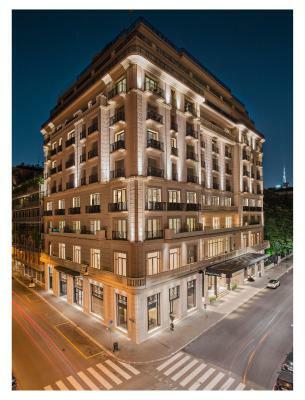 Palazzo Parigi Hotel & Grand Spa - LHW This rating is a reflection of how the property compares to the industry standard when it comes to price, facilities and services available. It's based on a self-evaluation by the property. Use this rating to help choose your stay! 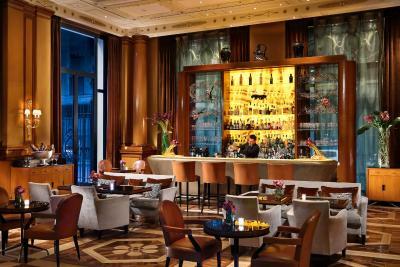 One of our top picks in Milan.Palazzo Parigi Hotel & Grand Spa - LHW is in the heart of Milan's fashion district. This luxurious hotel offers air-conditioned rooms with a balcony or terrace and a restaurant. 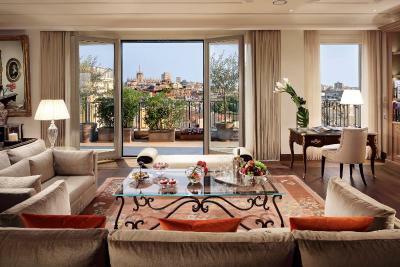 With free WiFi, elegant rooms with modern technologies at the Palazzo Parigi feature a flat-screen TV, mini-bar and parquet or marble floors. Suites have a seating area. The restaurant serves local specialties. 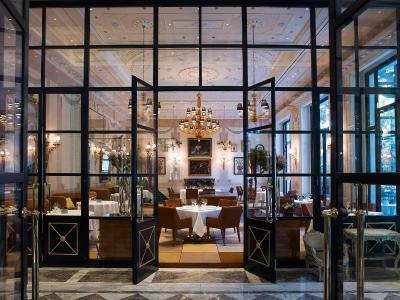 At the patisserie Caffè Parigi you can taste characteristic Italian sweets. A buffet breakfast is available on request. 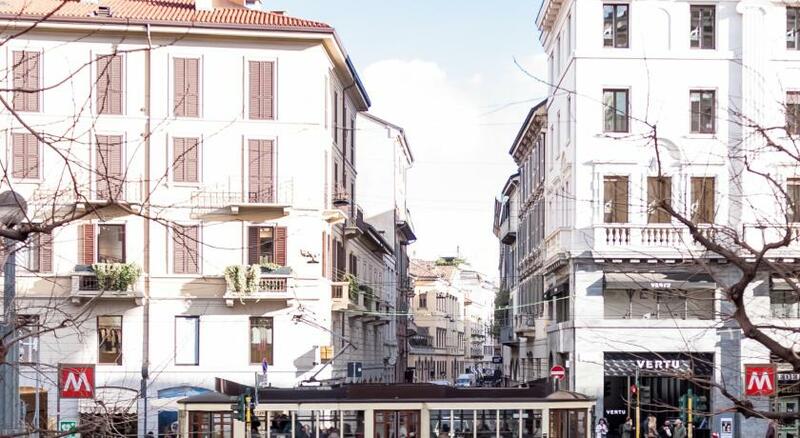 Milan Cathedral is 0.9 mi away, while Milan’s Turati Metro Station is 1,650 feet away. Malpensa Airport can be reached by car in 40 minutes. 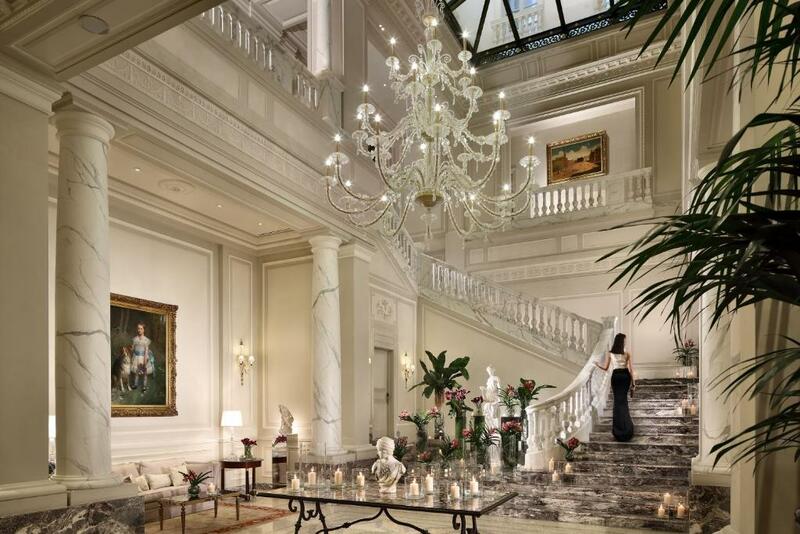 When would you like to stay at Palazzo Parigi Hotel & Grand Spa - LHW? 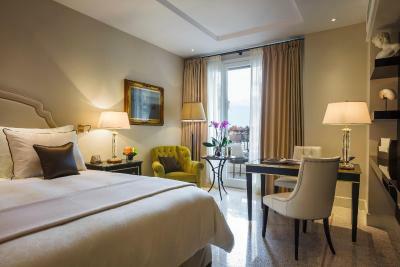 Offering free Wi-Fi, this air-conditioned room features a flat-screen TV, mini-bar and parquet or marble floors. 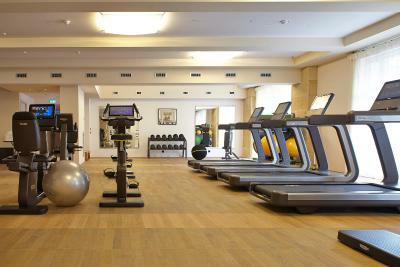 With free Wi-Fi, this large, this air-conditioned room features a flat-screen TV, minibar and parquet or marble floors. It has a work desk. Offering a balcony, this large, air-conditioned room features a flat-screen TV, mini-bar and marble bathroom. 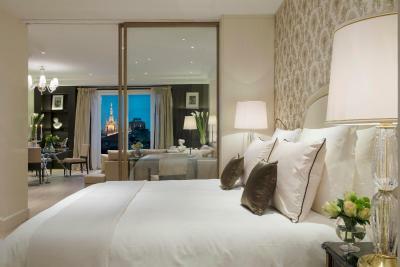 Some rooms overlook Milan and the Duomo cathedral. 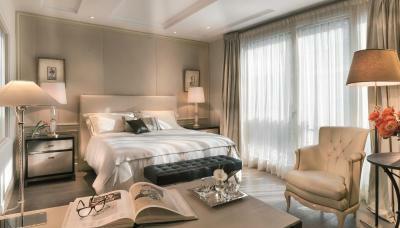 With a balcony, this large, air-conditioned room features a flat-screen TV, minibar and marble bathroom. With a balcony or terrace, this spacious suite features a large sitting area with flat-screen TV, a minibar and a marble bathroom. 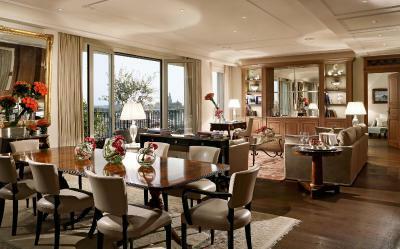 With a wide terrace overlooking Milan, this suite features a large living area, separate sleeping area with walk-in closet. Some units have 2 bathrooms, one of which comes with mirror television. Some suites also have a wet bar and modern kitchen corner. 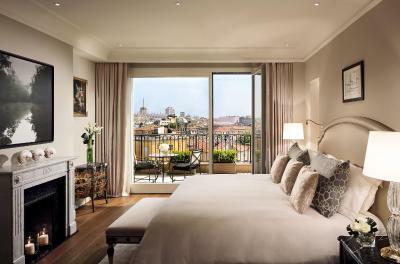 With a wide terrace overlooking Milan Cathedral, this suite is furnished and decorated in Parisian or Milanese style, and features a living area, and separate sleeping area with walk-in closet. A wet bar and a modern kitchen corner are available. 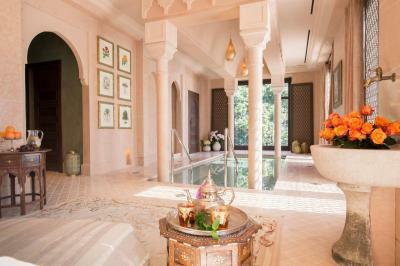 There is a main marble bathroom with a mirror television, as well as a second bathroom for the guests. 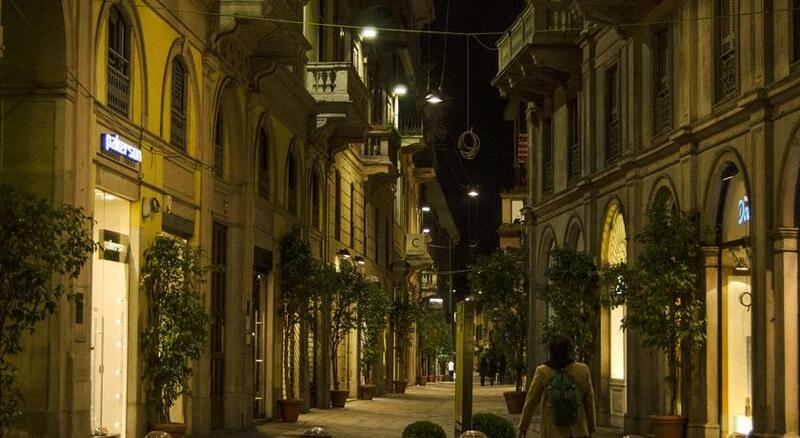 Palazzo Parigi has risen on the site of the former circa 1600s Palazzo Cramer in Via Brera, the fashionable heart of Milan. 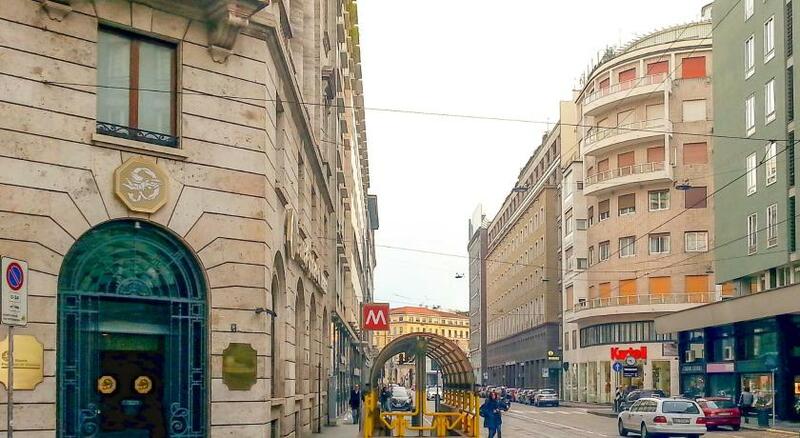 The building, that in previous years was home to a prestigious Italian bank, was purchased by the noted construction company, Giambelli S.p.A., to create a new hotel in the heart of Milan. 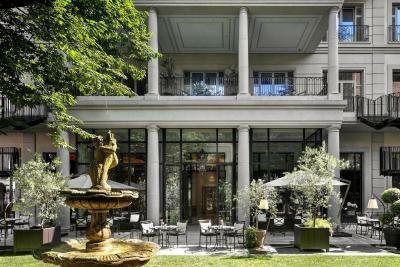 The ultimate objective was to blend the style and elegance of two beloved cities - Milan and Paris – while focusing on the warmth of the hotel’s natural environment and the hospitality of an elegant palace. 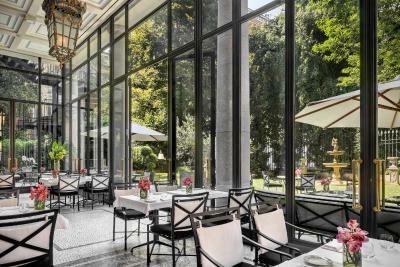 Palazzo Parigi is distinguished by many features unique in the city centre, including an expansive windows and private terraces that offer striking garden or city views and ensure that the rooms are awash in natural daylight, a rarity in the bustling city. The use of volume within the structure is rare especially in historic Milanese buildings and it allows for spaces that are generous both in terms of size and natural light. House Rules Palazzo Parigi Hotel & Grand Spa - LHW takes special requests – add in the next step! Free! One child from 2 to 17 years stays free of charge in an extra bed. One older child or adult is charged EUR 137.50 per person per night in an extra bed. Palazzo Parigi Hotel &amp; Grand Spa - LHW accepts these cards and reserves the right to temporarily hold an amount prior to arrival. Palazzo Parigi Hotel & Grand Spa - LHW accepts these cards and reserves the right to temporarily hold an amount prior to arrival. They charged me for mini bar thugs I didn’t have and because their bill is SO complicated -as they “pre authorise “ €300 seemingly everyday - I could hardly understand my bill. Drunken Russians in next roomalso kept us awake as they were drinking in their balcony until I asked the to be quiet at 1.45am. Our 3rd visit and sadly not as good as previous 2. The room size is a bit small, but I believe this is normal in Europe hotels. Hard to say: maybe the price level of extra facilities ...? Good ambiance, alert personnel, neo classical palace equiped with modern technigues. Fine sport facilities, etc. We were in the Executive suite and I think that toothbrush and shaver should be included in the price of the room. Staffs do not smile at restaurant. Service in restaurant was awful, sullen waiters, expensive food. Given the price for an executive room, expected coffee machine and an iron/ironing board. Just to be picky... I asked for an upscale seafood restaurant and I was sent in a shabby basic restaurant which obvioulsy the concierge knew personnally. A bit disappointing, I left the table without finishing my plate and went to another restaurant. A wonderful 5* hotel. from start to finish, with a great staff. Lovely garden floor where you can have delicious food. 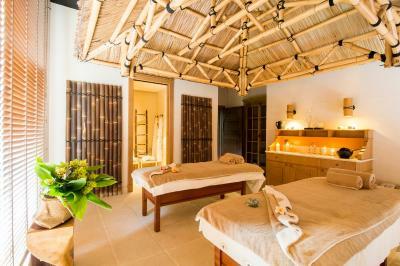 Wonderful spa with lovely and very professional staff. The room was perfect. The hotel is lovely and very beautiful. It was a boutique hotel and staff was extremely friendly and helpful. The rooms were lovely and fresh water was brought to our room daily in glass bottles which i appreciate as most have plastic.